→Statins for Asthma – Good or Bad? Statins for Asthma – Good or Bad? 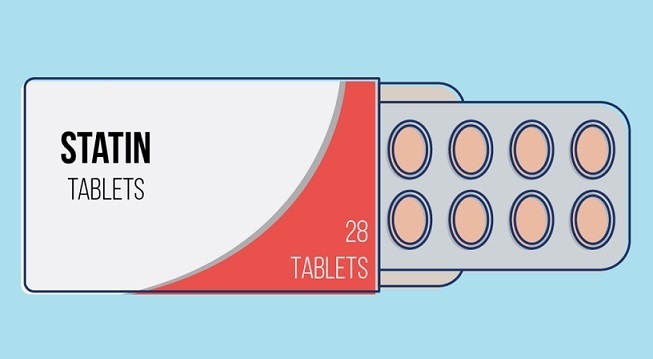 Statins are becoming well known for their anti-inflammatory effects. People are now using them to control asthma and its symptoms. Millions of people suffer from asthma, an autoimmune disease that has become more prevalent in the recent years. Attacks are normally characterized by inflammation on the linings of the airways. Steroid drugs, commonly given in a form of an inhaler, are the most common way to control wheezing. Statins, having anti-inflammatory properties, may be able to help reduce symptoms. Statins for asthma have been recently gaining popularity because of its anti-inflammatory and immunodulatory effects. As we all all know, asthma is a respiratory condition defined by hyperreactivity of the upper airways. It is a reversible airway obstruction. Based on statistics, the estimated prevalence of asthma now is 13% worldwide. Statins have been long used to lower cholesterol level and prevent heart diseases. Studies have shown that it can also reduce inflammatory marker levels, hence being considered as a good alternative for the treatment of asthma. There are several other properties of statins that make experts think they could be a good treatment option for asthma. Statins can modify diseases driven by T lymphocytes, a type of white blood cells. They block the interactions of cellular adhesion molecules in the body. They also help suppress some T cell activation that can restrain the development of chronic asthma. Statins also improve the bioavailability of nitric oxide, an effective vasodilator that can relax the airways, thereby helping control asthma symptoms. Experts want to know if these claims really work and one way to find it is to do researches. In one of the research documented by Stanek, 6,600 asthmatic patients were monitored. They found out that those who took statins to treat their cholesterol had fewer hospital visits. A retrospective study was done on Medicaid patients in Mississippi. Results showed that statin use was linked to a significant reduction in visits to the ER due to asthma. Portuguese scientists though had a different result when they did a meta-study to know whether statins can really make asthma better or not. They looked deeply at both disease and patient outcomes. The outcome revealed that statins did not show any additional benefits for asthma. Another recent but smaller study was done. The researchers did not suspend the statin therapy but suggested that the patients should be well monitored if there will be a progression in their breathing problems. However, they found out a contradiction because of the selective inflammatory suppression by statins. Statins counteract cytokines and make the circulatory system inflamed. They also suppress histocompatibility in the body, making asthma worse. These studies by no means suggest that asthmatic patients must be started on statin drugs as a form of treatment for their respiratory condition. But knowing the exact mechanisms behind the effects of statins on asthma related results might be of further interest. Knowing that they could really treat airway inflammation by reducing the number of inflammatory cells and inhibiting contractions of the smooth muscles, these drugs could really have a potential beneficial effect for asthma. These studies were all done in hopes to find better alternative treatments for asthma. But as you can see, the studies are still showing different results, hence the use of statins for the treatment of asthma. Every patient’s body composition is different and everyone responds differently to medications. The severity of asthma could likewise be a factor. If you have asthma, it is very important to speak with your doctor first before using any new form of treatment. Discuss the frequency of your symptoms, night awakenings, and disturbances to your daily lifestyle including work and exercise. For now, the use of statins for asthma should still be reprimanded unless otherwise approved by a doctor. Inhaled corticosteroids remain to be the main treatment rescue option for asthma patients.